Milton Keynes Cleaning Supplies is a trading name of Hammonds Hygiene Solutions Ltd and offer quality products at a fraction of the cost of other janitorial suppliers with discounts for quantities of 10 items or more. 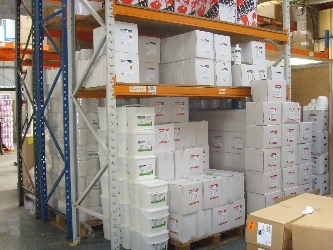 We also sell our products by the pallet giving you the customer, even greater savings. Our web team have found no competitor offering equivalent products on-line at a price comparable to ours. 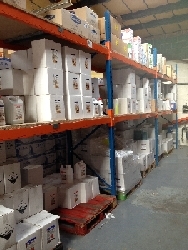 After 7 years of steady growth we have now developed a comprehensive range of quality janitorial and cleaning products that we sell through our web store. Developed with the customer in mind, our web store offers a quick, simple and effective way to buy your janitorial products. Trade accounts are welcome and government public sector accounts are pre approved. Contact us for further details. Our teams extensive product knowledge and industry experience ensure that you receive the advice you need when you need it. Backed by our “no quibble” guarantee and our fast, efficient delivery policy we are quickly becoming a significant, on-line janitorial supplier. The following web sites are also trading divisions of Hammonds Hygiene Group.